Located in the centre of Strasbourg, France, EtC… Hotel is easy to get to, whether you arrive by car, train, or tram. 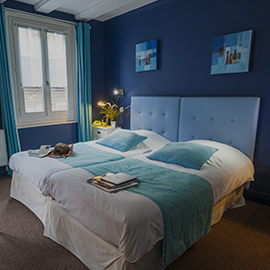 It is located a few steps away from the tram stop Langstross / Grand’Rue, and the tram lines A and D.
The Strasbourg Cathedral, the Petite France and the Kléber square are all a short walk away. The Grand Rue, at the corner of the hotel, has a variety of inviting shops, restaurants and pubs. The hotel is directly accessible by car: From the A4, A35 motorways or from Germany. Take exit number 4: Place de l’Etoile and follow the signs to the city centre “Cathédrale”, Rue du Vieux Marché aux Poissons, Place Gutenberg, Rue des Serruries, then “Petite France”, take the first street on the right after the tram line. The EtC… Hotel does not have a private parking, but there are a number of public parking areas nearby (limited to a maximum height of 1.80 meters). Austerlitz car park: a ten-minute walk from the hotel. Cost: €20 for 24 hours. Gutenberg car park: It is the nearest to the hotel (2 minutes away), but also the most expensive. Cost: €44 for 24 hours. Kléber car park: located at the Kléber square, the car park is 5 minutes away from the hotel. Cost: €44 for 24 hours. Please note that it is easier to park your car first and then to walk to the hotel to avoid a huge detour. The Strasbourg train station is only a few minutes away from EtC… Hotel. From the train station, take the tram A or D bound for either Illkirch or Artistide Briand, and then stop at the “Grand Rue” station. The tram station is only a few steps away from the hotel. Train shuttles to the Strasbourg airport run 4 times an hour, whisking you to the airport in a mere 9 minutes. For more information, visit Strasbourg airport’s website.